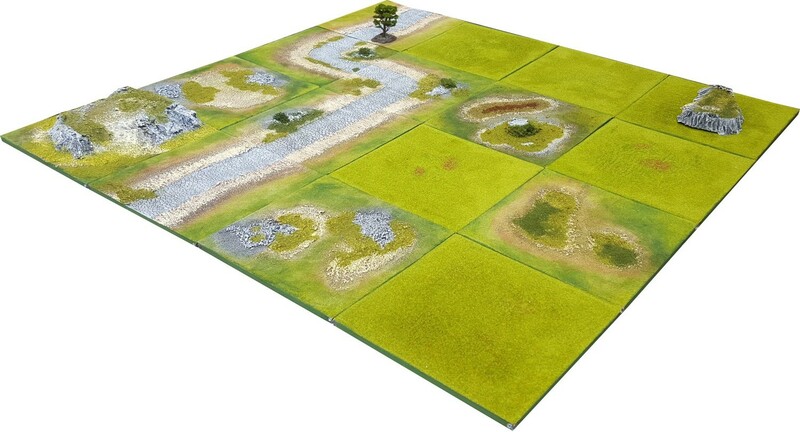 You may pre-order the Pedion "CORE" 4'x4' Battlefield Set. Due to amount of pre-orders please estimate a 4-month (and more) delivery time. The basic gaming board for most miniature wargames (eg Kings of War, Warhammer, Warhammer 40K), excellent for expansion through add-ons.